Did you know that carpets require a deep cleaning no less than twice a year? However, it is almost impossible to perform such work on your own, so carpet owners are limited to processing with conventional domestic vacuum cleaner or detergent, acquired in the nearest shop. 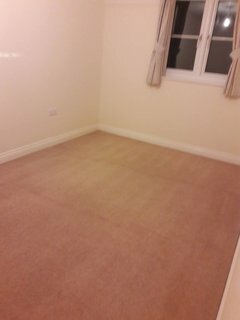 Try our Carpet Cleaning in St Albans. Needless to say, the results are not too impressive. MegaCleaning offers high- quality Carpet cleaning at home in St. Albans. 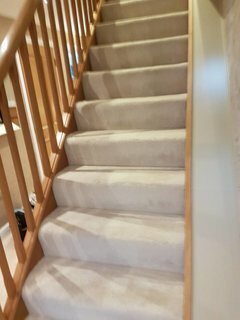 Our professionally trained staff will relieve you from troubles, associated with deeply set mud into the fibre and return the original attraction of the carpet – and they will do it at a reasonable price. Furthermore, with the professional treatment we employ, your carpets and rugs are extending their lifespan. Flexible working schedule 7days a week. Our carpet cleaning service involves extracting not just fresh, but also particularly persistent stains and odour removal. First, we handle the rug or carpet with a powerful vacuum cleaner, thus removing surface contamination. Later during the treatment, we add our ecologically sustainable cleaning products, in order to dissolve the most persisting spots. A powerful extractor in the next step removes all remaining dirt. Carpet is now cleaned not just on the surface, but also deep into the fibres, getting back its old look and shine – attractive and fresh. As a result of the efficiency of the hot water extraction method, you can use your carpets shortly after the procedure as they are almost dry. The additional drying process depends on the ventilation of the room and the thickness of the fabric pile. MegaCleaning carpet cleaners staff is specifically and continuously trained in all basics and innovations in the cleaning industry. They employ a variety of effective solutions for pretreatment spots and stains. Thus, we can promise you that it will make no difference to them how old the staining is, of what origin, or what type of fibres the carpet consists of. Even though some of them are quite difficult to be removed, Mega Cleaning experts will do everything possible to achieve the best result. Additionally to the Carpet cleaning, you can use the possibility and book inexpensively Upholstery cleaning, which also periodically requires professional treatment. This way you can benefit from the great deals we offer too. We perform a wide range of affordable services in St. Albans and you can take advantage of any of them when you need professional assistance – End of tenancy cleaning, One-off cleaning, After builders cleaning. With all this in mind, you can now easily contact us for your free quote, to request additional information, or even immediately book a Carpet cleaning service in St Albans. Just give us a call on 020 3637 7737 or send us your inquiry and we will get back to you as soon as possible. 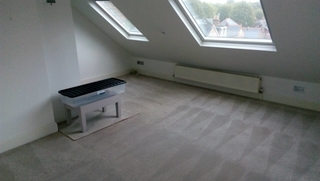 Entrust us for your Carpet cleaning in St. Albans for an attentive and exclusive treatment care.